Black Ink and Black Cats: Writing Thoughts: Where Do You Get Inspiration? As I am struggling to figure out a plot/topic for my next story (a flash fiction for my creative writing portfolio), I decided this would be a perfect time to explore the topic of where one gets ideas/inspiration for writing. I’m sure everyone has a number of things that work for them, so here is a list of things that work for me. That doesn’t necessarily mean that they’ll work for everyone, but I hope that at least one will prove to be useful to at least one of you. Music. For some weird reason, I have a tendency to make up stories to match the music/song I’m currently listening to. Sometimes it’s the sound of the music, sometimes it’s the lyrics, sometimes it’s the meaning behind the lyrics. 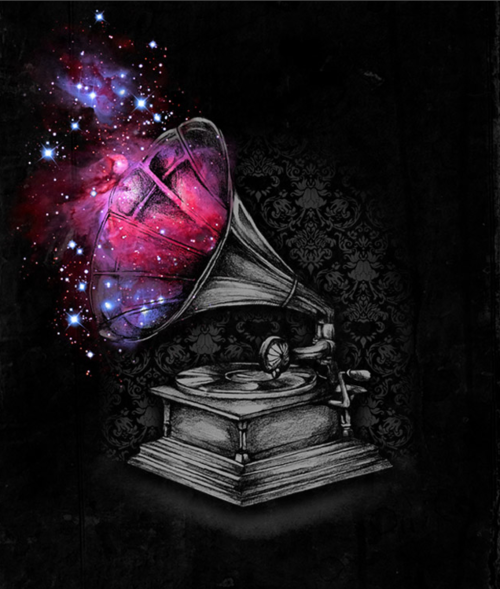 It can be any kind of music and any kind of story. Let your imagination develop it for you. Non-fiction books/documentaries. Just a few days ago, one of my friends gave me a book on nightmares to read. Let me tell you, now I want to write a story filled with blurred realities, demons, and awfully frightening nightmares that don’t stop when you wake up (unfortunately, I don’t think I could squeeze this into a tiny flash fiction). Just from reading one chapter out of that book. Non-fiction usually doesn’t sound exciting but if you choose the right topic it can be a lot of fun. Same with documentaries. I remember watching one on the History Channel a long time ago (back before they stopped showing shows on history and started that terrible stuff like Axe Men) about Hell, not only the Christian version of it (though that was the main focus) but also the similar depictions in other religions. I didn’t necessarily get a story plot out of that but watching or reading about interesting topics that are not explored often can result in some inspiration for situations to include in stories. Pictures. Go on tumblr or weheartit or whatever website you go for to get pictures. It can even be a simple Google search if you have a certain thing in mind. But browsing interesting or pretty pictures can often conjure up a tone or setting for a story, or if you’re super lucky a story plot itself! I think when we writers/artists run out of inspiration, it’s because our minds are stuck and bored with our usual routine, so just spending sometime doing something different like looking at some nice pictures can relax our brains and stimulate them at the same time. I know that I don’t spend nearly enough time looking at pretty things. Go on a walk. Spending sometime outside with just your thoughts can be refreshing. Look at the world. It doesn’t matter whether it’s a beautiful sunny spring day or a rainy winter one. Any weather and landscape can offer any kind of story. Also, it can offer up a nice way to recharge those creative juices. Cemeteries. Now, don’t just think this is a goth thing. I am a goth and I do love cemeteries, but there’s more to this. Often time, the hardest thing for me to think up are characters, especially character names. 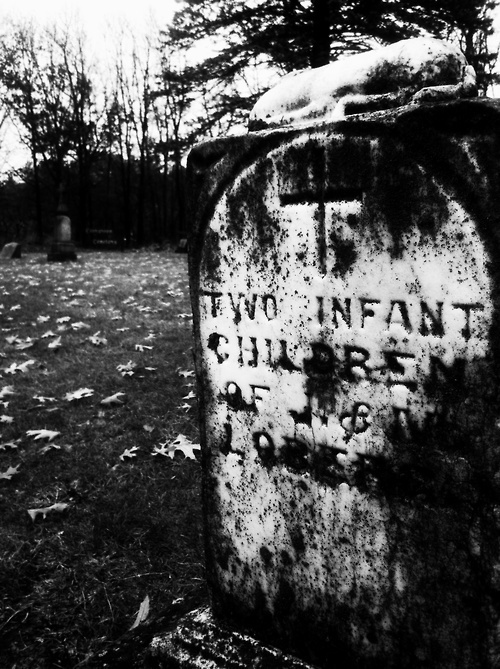 You’ll be surprised by all the unusual names you’ll come across if you walk around a cemetery. Not only that, but often there will be interesting inscriptions on the tombstone, some may be specific to the person buried there. A few months ago, I walked around the cemetery on campus and came across a man’s gravestone that had the words: “Here lies woodsman of the world”. That gave me an entire flash fiction about a man who loved the forest but had been roped into cutting them down for the lumber industry and was now struggling with his mixed guilt. So, even if you’re terrified of cemeteries, try walking around for at least five minutes. You may be surprised. Media. I’ve already mentioned music and non-fiction, but even by watching TV or movies, reading, or playing video games can give you ideas for stories. The story I just turned in for class was about a man who runs into his doppleganger and he becomes certain that his double is trying to kill him and steal his life. Where did this idea come from? The Nancy Drew game, [title]. Yes, I’ve loved these Nancy Drew games ever since I was young and I’ll continue to play them with pride. This story, which I consider to be one of my best stories thus far, had its roots in a video game. Any media, even magazine ads, can offer ideas.